PowerPoint slides prepared by external counsel for training at the Ministry of Justice were subject to legal professional privilege and did not have to be disclosed under the Freedom of Information Act, the First-Tier Tribunal (FTT) has ruled. It overturned a decision of the Information Commissioner last summer that the slides created for the Legal Aid Agency (LAA), part of the MoJ, should be disclosed because their main purpose was to provide “generic training” for caseworkers and legal professional privilege was not engaged. 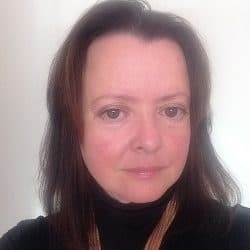 The applicant, Joanna Shaw, had sought any training notes or additional guidance produced internally at the LAA on the operation of the exceptional case funding (ECF) scheme. The MoJ provided some information, but withheld PowerPoint slides prepared by external counsel to advise the LAA on the ECF rules, claiming that there were exempt under section 42 of the Freedom of Information Act, concerning legal professional privilege. The Information Commissioner disagreed. Judge Claire Taylor, giving the judgment of the FTT, said: “Where the commissioner argues that the primary purpose was generic training rather than advice, we are not persuaded that training does not include advising in this instance. 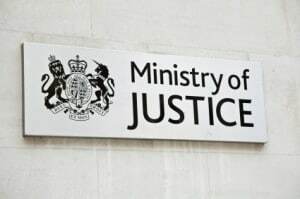 The MoJ argued that the slides – commissioned from Martin Chamberlain QC and Katherine Apps – contained their professional advice on how the LAA should apply the ECF regime, within the context of a lawyer-client relationship. They were the documentary basis for an oral presentation given by counsel to LAA lawyers and caseworkers, and were accepted by those attending to be confidential. 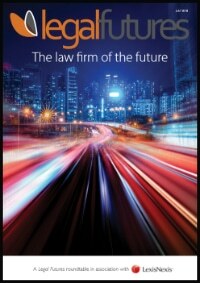 It said that whilst training materials on legal subjects would not without more attract privilege, the fact that the information was a document used to deliver a training session did not prevent it from doing so. Delivering her ruling, the judge noted that Ms Shaw had “made the point that a public authority could exempt itself from almost any request for information by using the services of counsel or a solicitor to provide advice”. In response, the Information Commissioner argued that the slides were not produced “in connection with the provision of legal advice”, and so privilege did not apply. The tribunal ruled: “We are satisfied from reviewing the material that it was imparted by counsel to its client within the LAA. We accept the appellant’s reasoning as to there having been a relationship of confidence in this situation, as is usual between lawyer and client. “There was a legal context, inasmuch as LAA caseworkers were being advised by external counsel as to what the law requires and on how best to discharge their legal duties in respect of ECF applications. The tribunal continued that the courts have developed privilege in such a way that a public authority could not exempt itself from almost any request for information by using the services of a lawyer to provide advice. It was always a question of fact. However, Judge Taylor rejected the MoJ’s argument that there was no public interest in disclosing the slides, but said it was outweighed by the public interest in maintaining the exemption “because of the paramount importance in ensuring the ECF team has a confidential space in which to obtain external legal input on how best to perform its role”.